Bringing Ancient History to Life! 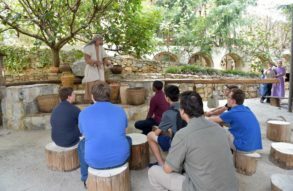 The Biblical History Center is a living museum of life in the ancient world with special focus on daily life in ancient Israel. 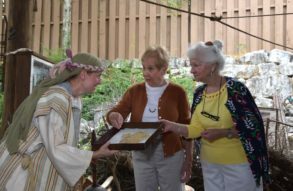 Step back into Ancient Middle Eastern life — experience our functional, large-scale archaeological replicas, Biblical meal presentations, lectures, and many other interactive experiences that allow you to live ancient history yourself! Transform your understanding of history through our hands-on exhibits and tours. 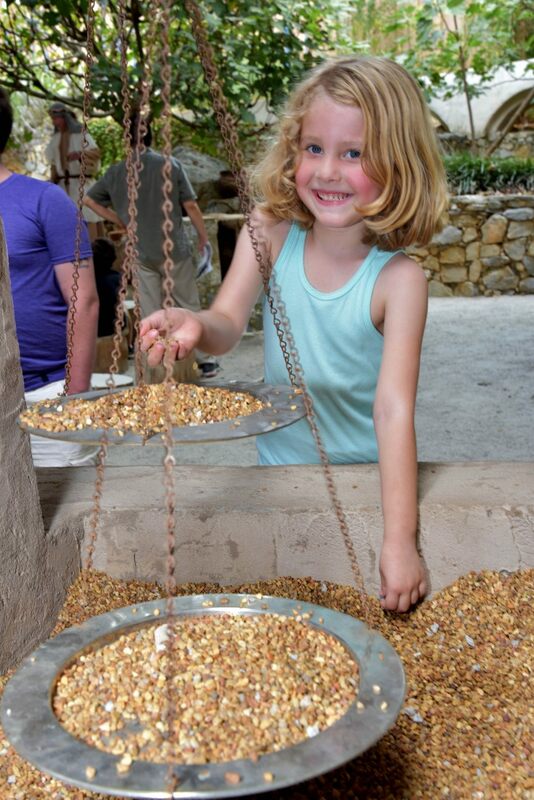 Our museum strives to provide engaging ways in which visitors can experience the daily life of the ancient world. In the Time Tunnel, you will learn about the worship practices of pagans, Jews, and Christians by exploring replicas of excavated houses of worship. The Archaeological Replica Garden houses 23 life-size replicas of structures found in excavation in Israel, Malta, and Jordan. 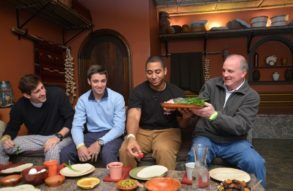 The Biblical Meal is a full four-course meal with food items that were available in the ancient world. Children have the opportunity to bake bread just like ancient nomadic peoples in the Shepherd’s Bread Experience and/or participate in an archaeology-style Kid’s Dig that teaches them all about the past and the world of the archaeologist. We also are one of eight museums in the world to house a long-term collection of artifacts from the Israeli Antiquity Authority in our Biblical Life Artifacts Gallery. Visit with us to have an experience you’ll never forget! 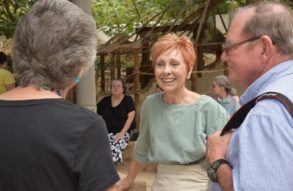 The goal of the Biblical History Center is to help people understand the Bible and the ancient world in its historical and cultural context. We do this by providing exact replicas of ancient life settings coupled with cutting-edge teaching based on the most up-to-date evidence and information in the fields of archaeology and biblical scholarship. The Biblical History Center is a qualified 501(c)(3) non-profit museum. All donations are tax-deductible. Your donations are greatly appreciated and necessary for the continuation of the Center. For projects you can participate in and specific needs of the Center, please go to our latest news page. Learn more about our development here.